Arthur Miller's Pulitzer Prize winner, Death of a Salesman, which he describes as "the tragedy of a man who gave his life, or sold it" in pursuit of the American Dream, is as relevant today as it was fifty years ago. 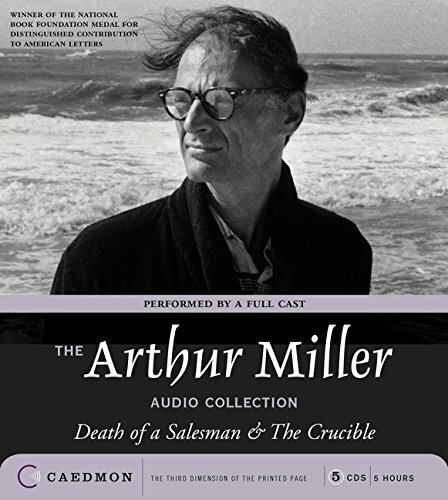 Directed by Ulu Grosbard and recorded in 1965, this recording includes an introduction read by Arthur Miller. The Crucible, first produced in 1953, is Miller's most produced play, addressing mass hysteria, empty piety and collective evil. It is a play that is not only relentlessly ­suspenseful and vastly moving, but that compels listeners to gather their hearts and consciences in ways that only the greatest theater can. This production was recorded in 1972 and was directed by John Berry. If you have any questions about this product by Caedmon, contact us by completing and submitting the form below. If you are looking for a specif part number, please include it with your message.